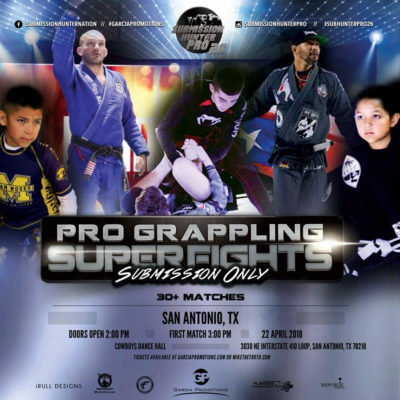 The Submission Hunter Pro grappling show returns to San Antonio, Tx on April 22 for Submission Hunter Pro 26. The Sunday event takes place at the Cowboys Dance Hall, and will feature 30+ matches, with two youth title fights. Check out the full card below, and purchase your tickets here at MikeTheTruth.com. All grapplers will receive credit for tickets purchased here.